In the event of any faults, the safety temperature limiter model SB15 puts the system into a safe operating condition. The shifting disk, which is arranged on the pointer shaft, actuates the switching operation at the micro switch when reaching the non-adjustable switch point or in case of measuring line breakage and locks the current status. A reset is possible with a tool only after a temperature decrease by approx. 3 % of the scale range, if there is no measuring line breakage. What does one mean by the active length of a thermometer? 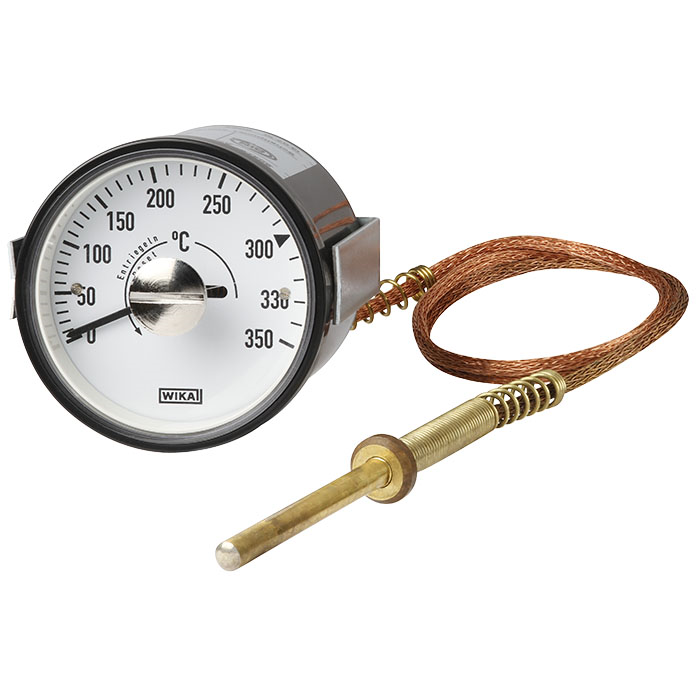 What is the maximum length of a capillary for gas actuated thermometers?